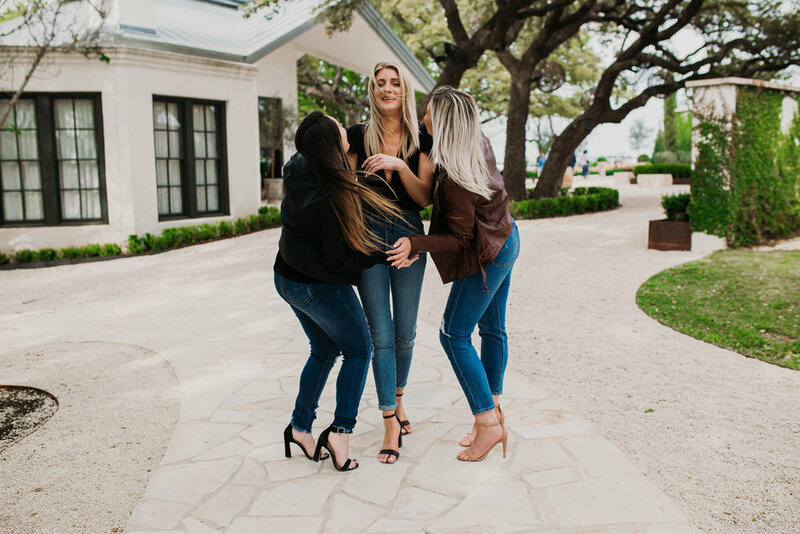 Jessica reached out to me to help capture her best friends engagement that she had helped plan. I was all in for sure, proposals are probably my all time favorite thing to document for the newly engaged. I love the anticipation, nerves and utter excitement that unfolds. Cody reached out to me prior to the session and told me he was scouting out areas that he had in mind. I could tell he probably would appreciate some help or input at least so I met him at the Winery to see what areas he had in mind, warning him of shadows and lighting issues we may encounter with certain areas. It didn’t take long to find the perfect area. He already had a spot in mind, come to find it was absolutely perfect! So we finalized details, going over time to arrive and how we would proceed with the session. We arrived at 4:45pm at Signor Winery in Fredericksburg, Texas on Saturday and the natural lighting was just gorgeous thanks to the overcast sky we had all day, along with the beautiful winery (it’s way prettier in person). I met with Cody and his dad in the parking lot and we headed to where Cody would ask the love of his life to spend the rest of her life with him. Emotions were in the air. I knew I wanted to capture Dryden’s emotions when Cody would walk around the corner unexpectedly, and I did just that! Seriously though the look she gave me as I creeped behind a wall and darted behind a wooden barn was the funniest to say at least when reviewing the images. This began as a girls day shopping, touring local wineries with friends and family so to see Cody was shocking for sure. Soon after she realized what was taking place and why I was creeping around taking her photos it all came together perfectly just as imagined!